In the process of installing WordPress Theme, surely not all people can set it up perfectly at the first time. Although each theme released has detailed guide about installation steps. However, sometime there are some practical problems we think you need to know when installing theme. So today Opal WordPress will take time to share you Some Known problems when installing WordPress Theme. See some these notes look quite simple but they are completely essential for us to think it over. Please take time and watch it for our notes below. Like so you can avoid the unnecessary errors positively. a. The “Broken theme and/or stylesheets missing” error is most common when you install or activate a new theme. If you get an error saying that the stylesheet is missing, then you have uploaded the wrong folder. Please check that you are uploading the evolution_theme.zip within the Theme Files folder. You have to unzip the package file that you download from Themeforest to find this. b. Problems with uploading via WP admin panel due Upload limit. You may check your file upload limit on Your Media Uploader page in WordPress. Depending upon the web hosting company and the conditions of the service they provide it may vary. The most common is about 8 MB which is more or less enough. But uploading some media files like audio and video may become a problem with for example 2 MB upload limit. If you cannot see the php.ini file in your directory create the new one with below mentioned code and upload it to your root folder on your web server. You can reset all of the setting for the each page on our custom panel by clicking “Reset” button on the bottom. In all, these are the basic errors you need to know when installing WordPress Theme. Hoping via this list you can find out them exactly if you meet. 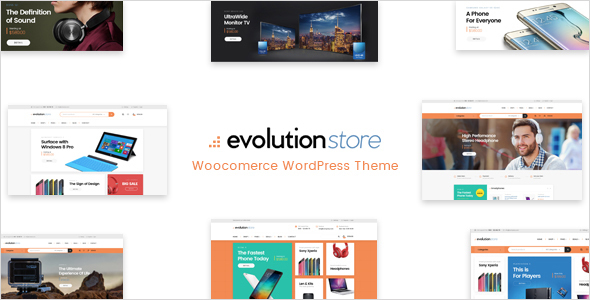 For more choices, you can also visit our Portfolio on Themeforest for many other useful multipurpose WordPress Themes. After you purchase our themes and meet any problems, don’t hesitate and contact us via email support: help@wpopal.com or submit a ticket on our system: http://bit.ly/2klTrX2. Our technical team will check and fix them well.